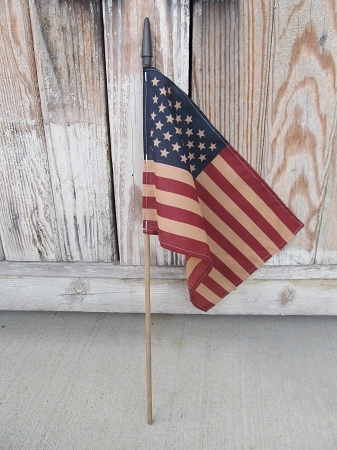 Primitive Tea Stained American Flag on wooden stick. I love to take these flags and stick them in crocks or flower pots outside for a quick and easy touch of American Spirit! Add anywhere...stick length is 18" and the flag size is 11"x7".